Cerveza XTECA® – Mexican American Lager Kicks off the New Year and launches 16 oz cans in San Diego Market. Cerveza XTECAannounces the Official Launch of its Original Mexican American Lager in Cans. 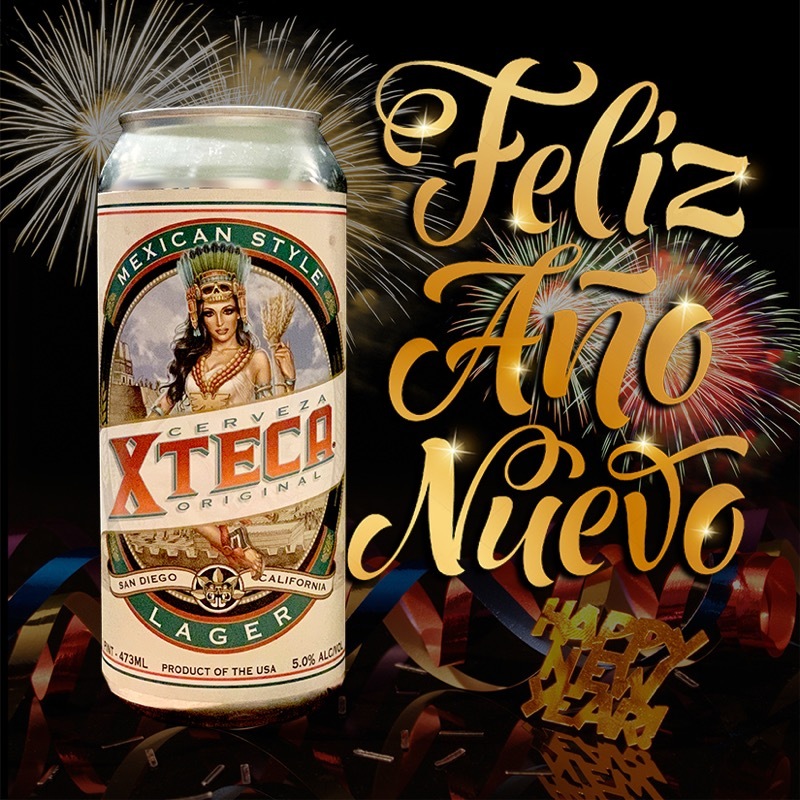 Arriving in the New Year 2019, Cerveza XTECA’s flagship beer is now available in 16 oz. offering, giving its fans and craft beer lovers even more opportunities to enjoy Cerveza XTECA. Less then a year ago, Cerveza XTECAa San Diego Craft Beer Company officially launched and has been received well in local restaurants throughout San Diego including the Gas lamp, Little Italy, Ocean beach in additional to the nieboring cities of Chula Vista and National City. The increasingly popular Cerveza XTECAOriginal Mexican American Lager (5.0% ABV) is a handcrafted beer that is part of a revolution to bring great Mexican Lagers to craft beer community. The well flavored Mexican American Lager has been classically handcrafted brewed according to it’s German lineage with a cold fermenting White Labs specialty Mexican lager yeast. Cerveza XTECAis one of a kind, with a crisp clean and full body flavor. Whether you’re cruising and enjoying the streets of San Diego, hanging out at the park with friends and family or just enjoying a back yard carne asada, now Cerveza XTECAcan join you. We hope XTECAfans will enjoy the look and feel of our new 16 oz cans, which highlights its rich Mexican American Culture. Cerveza XTECAcans are available in a convenient single16 oz size or easy to grab 4-packs in San Diego.